Port Moresby (Bomana) War Cemetery lies approximately 19 kilometres north of Port Moresby on the road to Nine Mile, and is approached from the main road by a short side road called Pilgrims Way. 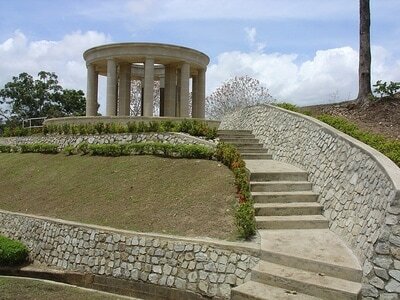 After the Japanese landed at Lae and Salamaua in March 1942, Port Moresby became their chief objective. They decided to attack by sea, and assembled an amphibious expedition for the purpose, which set out early in May, but they were intercepted and heavily defeated by American air and naval forces in the Coral Sea, and what remained of the Japanese expedition returned to Rabaul. After this defeat they decided to advance on Port Moresby overland and the attack was launched from Buna and Gona in September 1942. Early in 1942, and almost without resistance, the Japanese established a considerable force and developed a useful base on Bougainville, the largest and most northerly of the Solomon Islands. 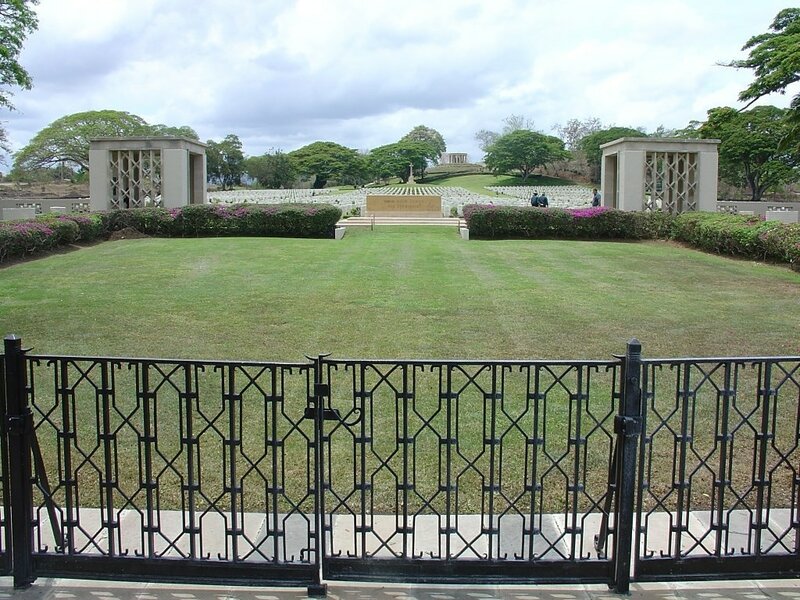 This they held until Americans and Australians began offensive operations towards the end of 1943, when Bougainville was the only one of these islands remaining in Japanese hands. By August 1945, when the Japanese surrendered, most of the island had been recovered. 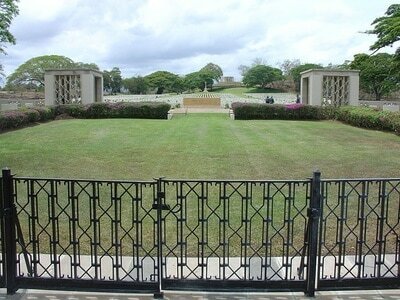 Those who died in the fighting in Papua and Bougainville are buried in PORT MORESBY (BOMANA) WAR CEMETERY, their graves brought in by the Australian Army Graves Service from burial grounds in the areas where the fighting had taken place. 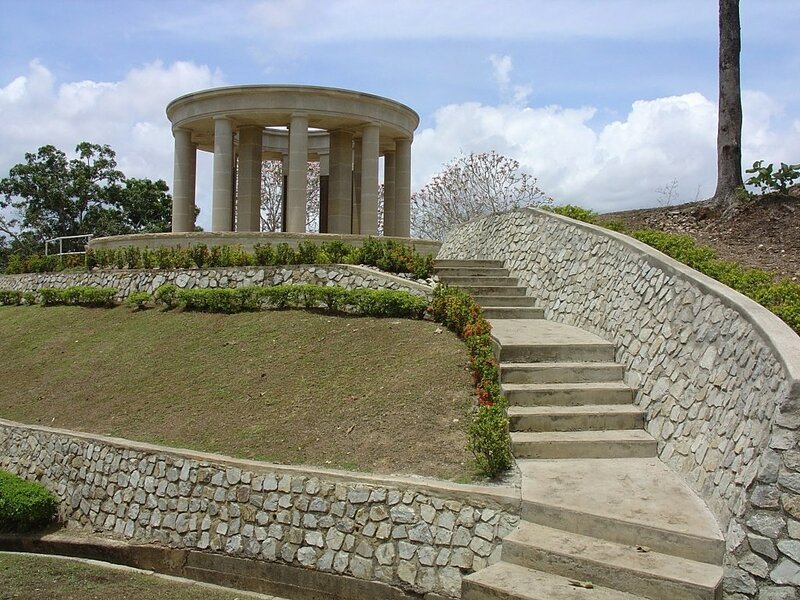 The unidentified soldiers of the United Kingdom forces were all from the Royal Artillery, captured by the Japanese at the fall of Singapore; they died in captivity and were buried on the island of Bailale in the Solomons. 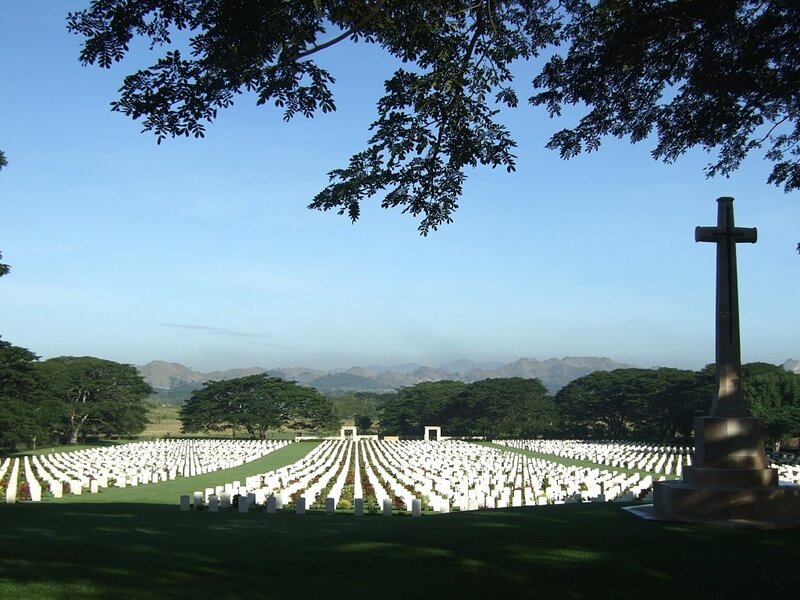 These men were later re-buried in a temporary war cemetery at Torokina on Bougainville Island before being transferred to their permanent resting place at Port Moresby. The cemetery contains 3,824 Commonwealth burials of the Second World War, 699 of them unidentified. There is also 1 Non war and 1 Dutch Foreign National burials here. 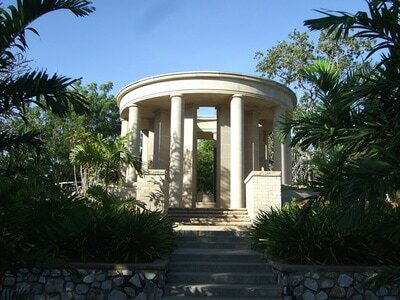 The PORT MORESBY MEMORIAL stands behind the cemetery and commemorates almost 750 men of the Australian Army (including Papua and New Guinea local forces), the Australian Merchant Navy and the Royal Australian Air Force who lost their lives in the operations in Papua and who have no known graves. Men of the Royal Australian Navy who died in the south-west Pacific region, and have no known grave but the sea, are commemorated on the Plymouth Naval Memorial in England, along with many of their comrades of the Royal Navy and of other Commonwealth Naval Forces. 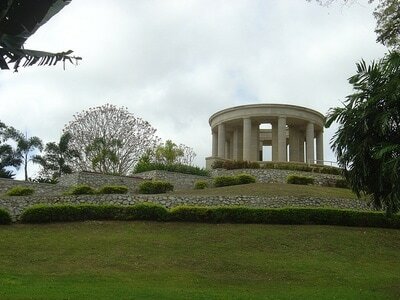 Bougainville casualties who have no known graves are commemorated on a memorial at Suva, Fiji. 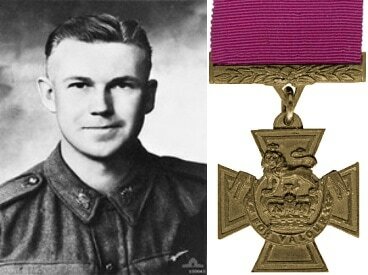 ​QX1971 Corporal John Alexander French, V. C.
2/9th Bn. Australian Infantry, A. I. F., died 4th September 1942, aged 28. Plot A2. E. 16. Son of Albert and Lucy French, of Crows Nest, Queensland. 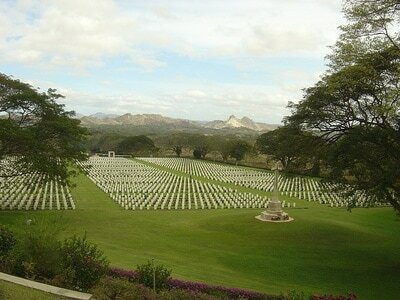 Citation: The following details are given in the London Gazette of January 12th, 1943: At Milne Bay, New Guinea, on September 4th 1942, during an attack by an Australian Infantry battalion on the Japanese position east of the Buna Mission, the section commanded by Corporal French was held up by terrific fire from three enemy machine-gun posts. Corporal French, ordering his men to take cover, himself advanced and silenced two with grenades. Then, armed with a sub-machine-gun, he attacked the third post. Although badly wounded by enemy fire he continued to advance until it, too, was silenced. His section pushed on, to find that the three enemy gun crews had been killed, and that Corporal French had died in front of the third gun pit. By his cool courage and disregard of his own safety, this non-commissioned officer saved his section from heavy casualties and was responsible for the successful conclusion of the attack. 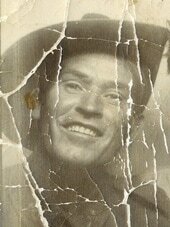 VX19139 Private Bruce Steel Kingsbury, V. C.
​2/14th Bn. Australian Infantry, A. I. F., died 29th August 1942, aged 24. Plot C6. E. 1. Son of Philip Blencowe Kingsbury and Florence Annie Kingsbury, of Northcote, Victoria. Citation: The following details are given in the London Gazette of February 5th, 1943; In the Isavura area, New Guinea, in August 1942 the battalion to which Pte. Kingsbury belonged had been holding a position for two days against continuous and fierce attacks. 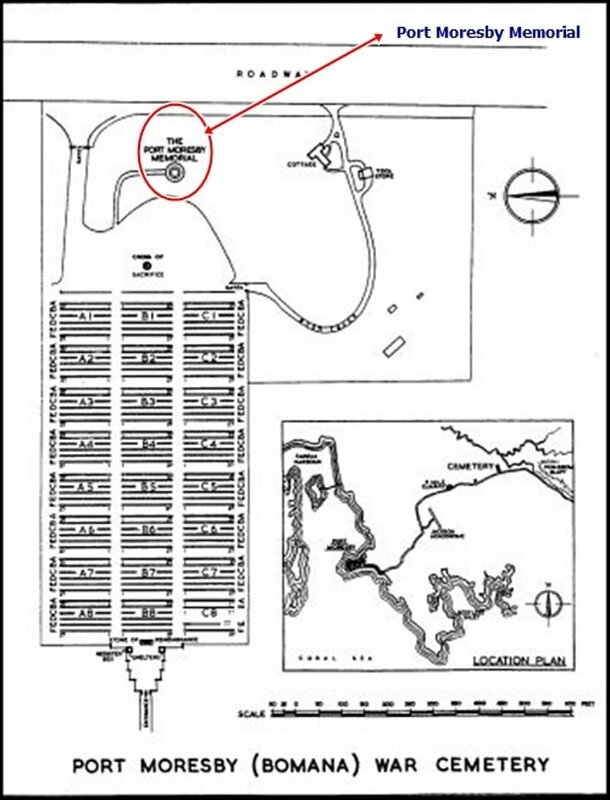 On August 29th the enemy broke through on the right flank, creating a serious threat to the battalion and its headquarters. It was essential to regain the lost ground immediately, and Pte. 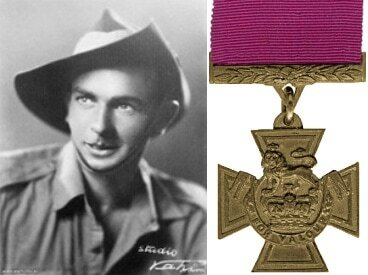 Kingsbury, one of the few survivors of his platoon, volunteered to join another platoon ordered to counter-attack. Rushing through terrific machine-gun fire, and firing his bren gun from the hip, he succeeded in clearing a path through the enemy, inflicting an extremely high number of casualties; but was seen to fall, shot dead by a sniper. Pte. Kingsbury displayed a complete disregard for his own safety. His initiative and superb courage made possible the re-capture of the position, which undoubtedly saved battalion headquarters as well as causing heavy casualties among the enemy. His coolness, determination and devotion to duty in the face of great odds were an inspiration to his comrades. 22nd September 1943, aged 29. Son of James Thomas Dawson and Bridget Dawson, of Mungindi, New South Wales; husband of Daphne Pearl Dawson, of Mungindi. Remembered by his cousin 1 x removed Kim Crowe.